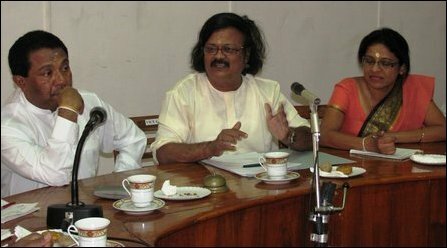 Dissanayake expressed his wish to admit more Southern students from Sinhala, Muslim and Tamil ethnic communities to Jaffna University and to create a conducive atmosphere for their learning activities, the sources said. He discussed projects of developing the basic facilities of Jaffna University including hostels to accommodate students from South. Students from South have been already admitted to the faculties of Jaffna University including medicine.